My jewelry collection has become out of control. 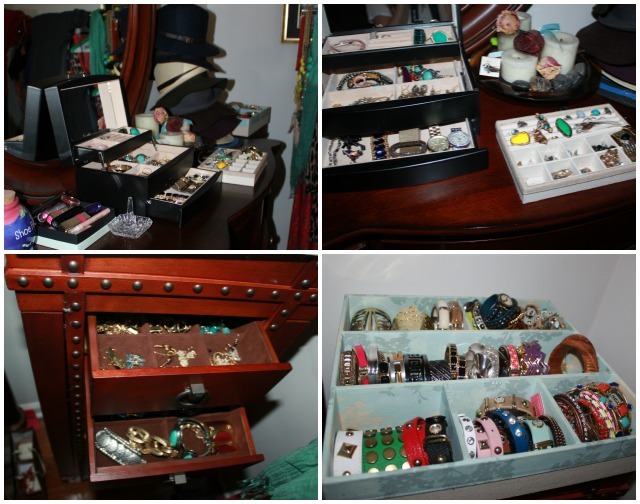 The last time I organized it was back in January 2011 when I got a second jewelry armour. 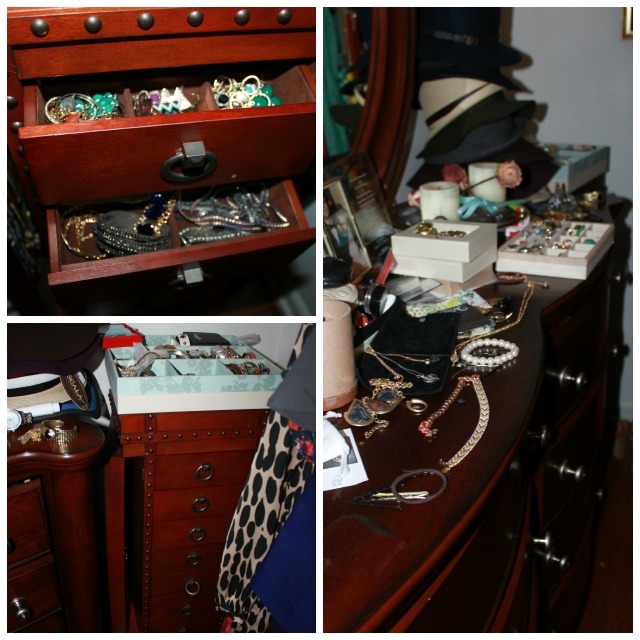 Since then, I have filled the 2 armours beyond capacity and jewelry is now all over my dresser. I didn't take pictures of the smaller armour, but it houses all of my more delicate necklaces, earrings, and rings. 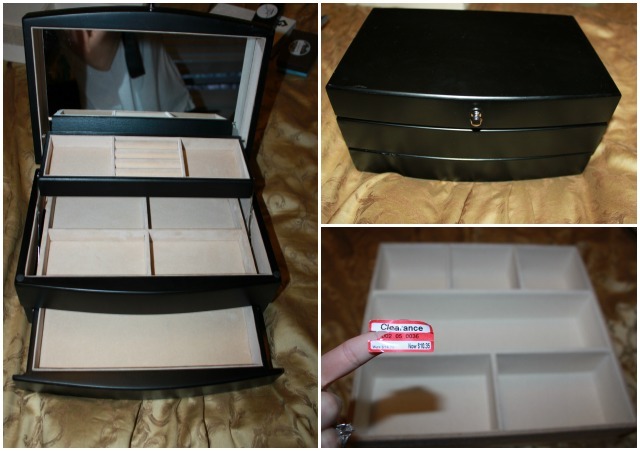 The jewelry box was $24.99 and the box with compartments was on sale for $10.95. I scooped up both and started my organizing task....which was a big one. Mine is in one of my drawers and I have one lone jewellery box. I don't have the room for much more at the moment, but one day!